January 30, 2019, 7:30 p.m. The 35-day partial shutdown is over, at least for now. But it ended without a solution, and with Americans unchanged in their opinion of whom to blame. But in the latest Economist/YouGov Poll several things are very clear: the President may have brought the shutdown to an end, but Democrats got more of what they wanted. And many fear shutdowns will continue to be part of government routine. In recent Economist/YouGov polls, Americans expressed dismay with the shutdown, and as the shutdown continued, they started to worry about what had been seen as a thriving economy. They continue to worry about it. That might suggest that the person seen as ending it could get credit for doing so, and a plurality gives President Trump the credit for ending the shutdown over the weekend. More than a third choose him as most responsible, while just a quarter say Democratic House Speaker Nancy Pelosi should get the credit. Hardly anyone selects from a longer list of people who were involved in “end the shutdown” discussions. 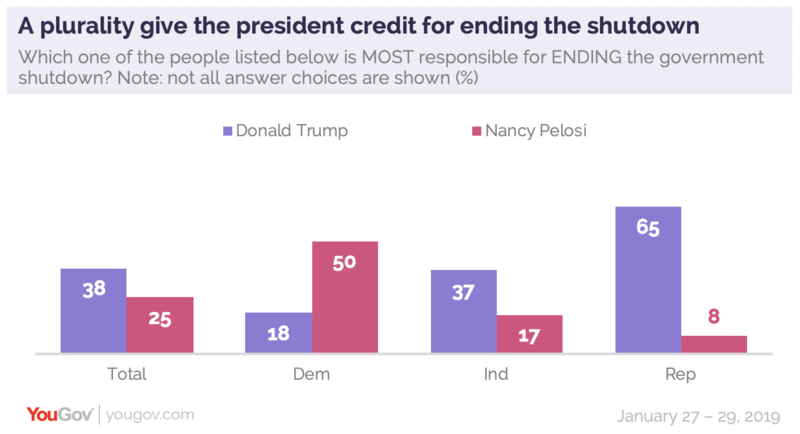 Democrats give Pelosi, whose support among Democrats grew during the partial shutdown, credit for ending it, but a plurality of independents and two-thirds of Republicans credit the President for the deal. But the President gained little or nothing from the shutdown’s end. Throughout the shutdown, the public was more likely to blame President Trump for the shutdown than to blame either Congressional party, and now he gets not only more blame, but few think he has gained what he wanted from the month-long event. 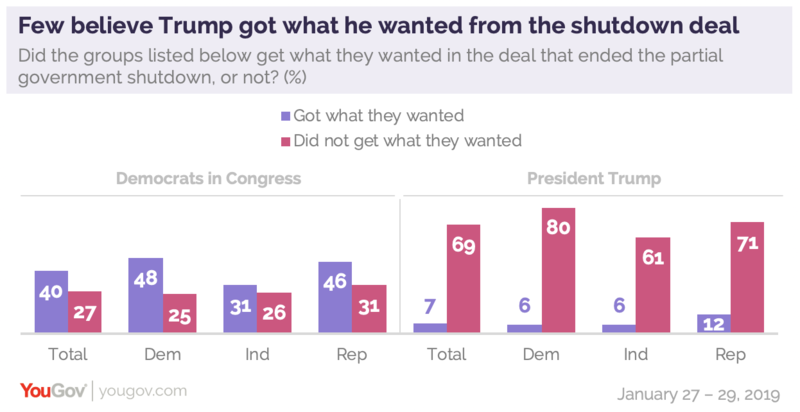 And nearly as many disapprove as approve of the shutdown deal itself. Donald Trump’s overall approval rating in this poll is just 37%, down from 40% a week ago. 53% disapprove. The views of political independents of the President are clearly negative: only 34% approve, while 49% do not. Although 85% of Republicans continue to approve of how the President is handling his job overall, most of them also recognize he gained little from the shutdown. Hardly anyone believes Mr. Trump managed to get most of what he wanted. Far more say the Democrats in Congress did. Republicans and independents agree that this was a case of the Democrats in Congress “winning” the shutdown. As for who got the most, 43% overall and 42% of Republicans think the Democrats did; only 17% of Republicans (and 12% overall) say the President did. Most of America – 62% -- view the shutdown as having been a “bad thing.” 31% of Republicans agree. And most of those who call the shutdown a bad thing believe it was a crisis. But nearly half of Republicans say the shutdown was a “good thing.” There are many reasons why that is. Not only do more than eight in ten Republicans approve of how the President is handling his job, but more than eight in ten Republicans consistently have supported the President’s plan to build a wall on the southern US border. Throughout the shutdown, Economist/YouGov polls have seen Republicans less sympathetic to those government employees who were not being paid, and they were more willing than Democrats to have the shutdown continue. There is another reason that may have an effect on how many Republicans view the government. 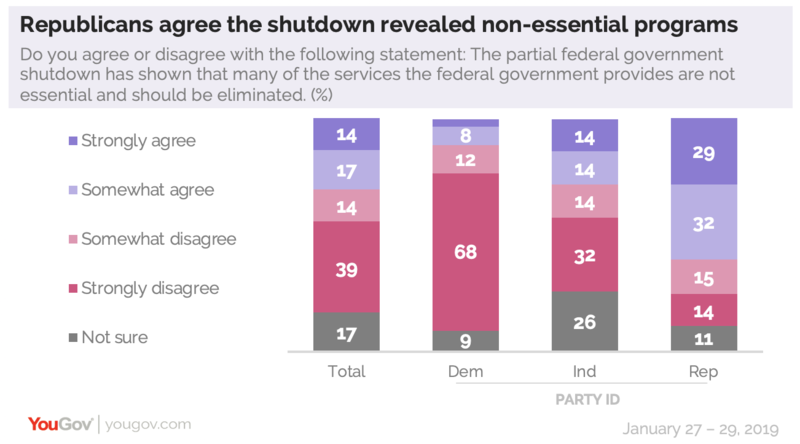 61% of Republicans agree that the shutdown showed many government programs are not essential and could be eliminated. This is not a point of view shared by Democrats and independents. 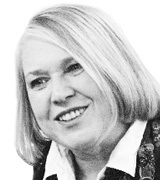 There is a lot of pessimism about the future of shutdowns. There is little change in underlying opinion about the issues that brought about the shutdown. Most Americans support a path to citizenship for "dreamers”, and the partisan division over building a border wall continues. Consequently, only one in ten think another shutdown is not likely. 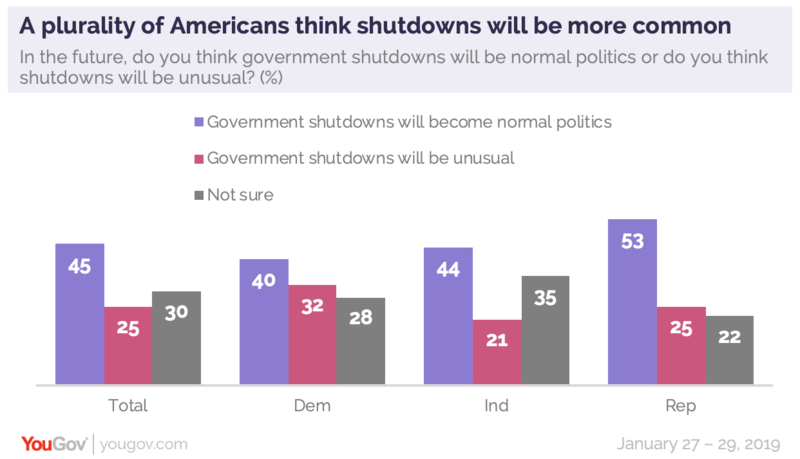 Worse perhaps, is that despite the introduction of two bills in Congress that would end government shutdowns, nearly twice as many believe that shutdowns will be a normal part of future politics as think that they will be unusual events. Republicans are particularly pessimistic.